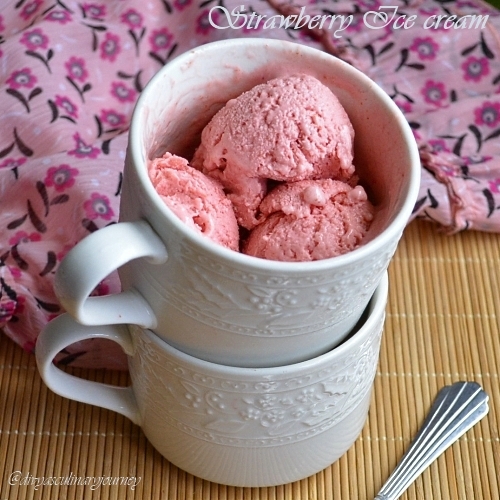 After posting the blueberry ice cream, I was looking for another simple and easy method of making ice creams which does not require the use of ice cream maker. Last week, it was strawberry week at home and I made strawberry muffins, strawberry pancakes, strawberry Popsicle, this strawberry ice cream and with the left over made some smoothies. Coming to the recipe, it requires only three ingredients and 4 hours to make this ice cream. Very easy and no cooking required to make this. 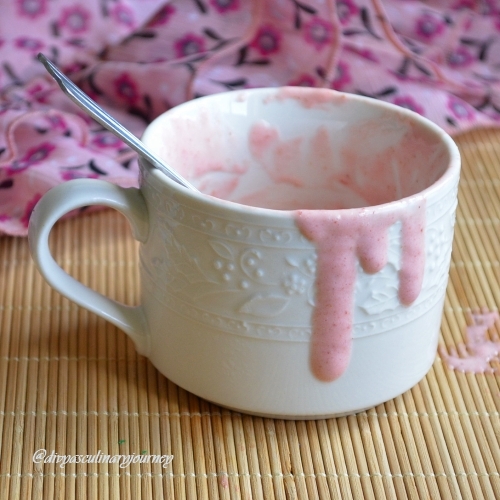 In a bowl, combine the pureed strawberries, condensed milk, whipped topping gently. Transfer them to a freezer safe container and freeze for 3-4 hours. Once they are set, serve and enjoy. You can substitute the strawberry puree with other fruit of your choice too. Take care not to over mix while mixing, as it may break the air in the whipped topping and ice cream will become flat, not creamy. For some variations you can add some chopped fruits and nuts to the ice cream too. very yummmy & mouthwatering ice cream!! Very colorful and delicious Ice Cream Divya. 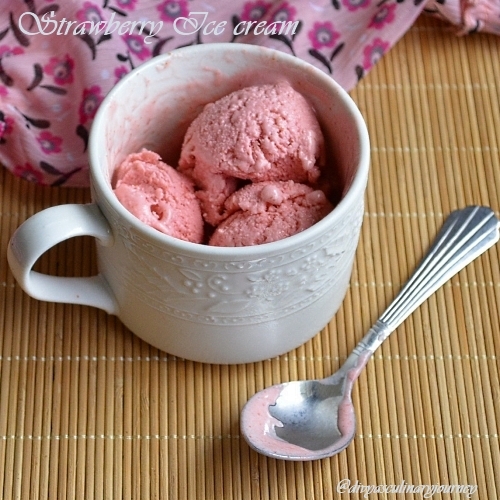 Delicious Ice cream in just 2 steps, lovely Divya! What an awesome ice cream....this looks great....and super easy too :-) when you say whipped topping, do you mean whipping cream? very tempting...my kids gonna love ths...book marked!! So cool and yummy ice cream. Send me some..it looks divine.